Walks Archives - Adventures from where you want to be. Top things to do in Western Australia. Western Australia, a land as vast as it is beautiful. Australia is the sixth largest country in the world by pure size, however amazingly 53rd by population. 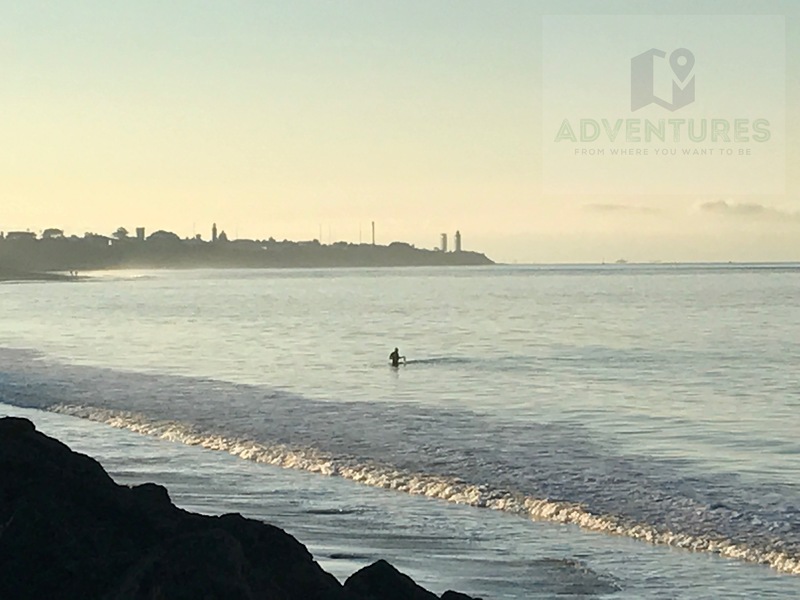 When you visit Australia you notice something, that most of the population seems to be within half a dozen hours of the coast, and with the beautiful beaches of the Great Ocean Road, Byron Bay, the Gold Coast why wouldn’t they. Western Australia is the largest State in Australia it spreads out over 2,529,875 square kilometres, 33% of Australia’s landmass. But Just over 10% of the population resides there (2.6 million). Compare that to Victoria that is only 3% of the landmass, but accounts for over 25% of the population, you can see how Western Australia is an area vast in size, but still quite low in population. When putting together our list of Top things to do in Western Australia you will see that there are often huge areas between them. Involving long drives in the car. But what you will find is even if you are sitting in the car for 1500kms as you drive from Perth to Eucla, the scenery is always changing and its worth the drive. Whilst there are amazing things to do in Perth, like Kings Park, the Maritime Museum in Fremantle. Which we loved my list is some of the more original things to do, things you can’t do anywhere else. Just 11Kms over the South Australia border stands this tiny town Eucla, now Eucla has a population of under 100 people and you would be remiss to just keep driving through on your journey over the Nullarbor. (The Nullarbor is the large flat, treeless plain you drive over from Adelaide to Perth. This holds the longest straight stretch of road in Australia 146km) The Nullarbor is a real right of passage in Australia’s RV community and you will often see stickers on the back of caravans, proudly exclaiming they have crossed the Nullarbor. We have driven over the Eyre Highway a few times and Eucla is the real highlight of the trip. So why stop at Eucla? You stop at Eucla for one reason the Old Telegraph Station. The Old Telegraph Station is located in the middle of a huge Sand dune. You park your car and begin to wander through the sand dunes, hoping you are heading in the right direction and then it comes into focus. Half covered by sand. The remnants of the Telegraph station. What is Gnomesville you might ask? How did it start? Gnoomesville is something special, it is a little village of 7000 gnomes that sprung up in Wellington Mill over 21 years ago, just 30 minutes out of Bunbury. Gnomesville is a great place to go and have a look, there is something magical about going and looking around at the 1000’s of gnomes in the area. Our kids loved it. Search #gnomesville on Instagram to see heaps more photos. Busselton Jetty is the longest wooden pier (jetty) in the world. Stretching 2kms out to sea, you will see many people wandering out to the end of the Jetty. But if walking 4kms is not how you intend to spend your day. Don’t worry they now have an amazing solar-powered train that runs up 1.7km of the Jetty and takes 45 minutes. At $13.50 for an adult, $6.75 for a child 3-14 years it is great value. 6 hours from Perth is the picturesque Kalbarri National Park. Kalbarri is a gorgeous seaside town 600 km north of Perth with a population of about 1400 people. Every morning at the foreshore they feed the pelicans, and tourists flock to the area. But the real stand out of the area is “Natures window”. Nature’s window was formed by the wind eroding a section of the layered sandstone, that frames the Murchison river below. What has formed is a gorgeous window that allows for an amazing view of the Murchison River. There is a lot of different walks in Kalbarri National Park, whether you are a beginner or experienced hiker. Kalbarri National Park is also a great place to see Western Australia’s wildflowers. Western Australia has 800 different speicies of Wildflowers. 600 of them are only found in WA. 5 – The Valley of the Giants tree top Walk. 50 km out of Denmark is the Internationally recognised, Valley of the Giants treetop walk. As long as you aren’t scared of heights you will love walking 40 metres above the ground amongst the canopy of the huge Red tingle trees in the Walpole-Nornalup National Park. The Walk is 600 metres long as suitable for children of all ages, including strollers. However, the way you can see through the metal of the bridge under your feet does see some children (and adults) struggle with the walk across the bridge. The Valley of the giants is open from 9 am – 5 pm daily (excluding Christmas Day). However, runs extended hours over the Christmas period from December 26th to January 26th and stays open until 7 pm. Entry to the Discovery Centre is free, however, to walk across the Valley of the Giants, the admission price is. If you are there at 10:15 am 11:30 am or 2 pm (during school terms) join in the guided tour to find out more about the amazing tingle trees from one of the helpful guides. The Treetop discovery centre also has a gift shop and sells refreshments. Over a quarter of a million people come to see the iconic Limestone formations in the Numbung National Park each year. Only 200 km from Perth this is a must see if spending any time in Western Australia. It really is a sight to behold limestone formations some reaching up to 5 metres in the sky, sticking out of the sand everywhere. The Pinnacles are accessible by both car ($12 per car) or walking from the discovery centre. It is a 4km loop. Whilst the Discovery centre is only open until 4:30 pm, there is an honesty system after 4:30 that allows you to go in and capture that amazing photo at sunrise or sunset when the shadows create a truly magical experience. Have you been to Western Australia before? What would be your must-see places in Western Australia? See the view through Nature’s Window at Kalbarri National Park. 6 and a half hours north of the Perth is the beautiful coastal town of Kalbarri. Kalbarri is on our list as one of the must-see places in Western Australia. There are many reasons that it makes the list, however probably the main reason is the iconic Nature’s Window located in Kalbarri’s National Park. Kalbarri National Park is the perfect location for people wanting to walk in Western Australia, with a great variety of different walks available. Making it a popular walking spot in Western Australia. 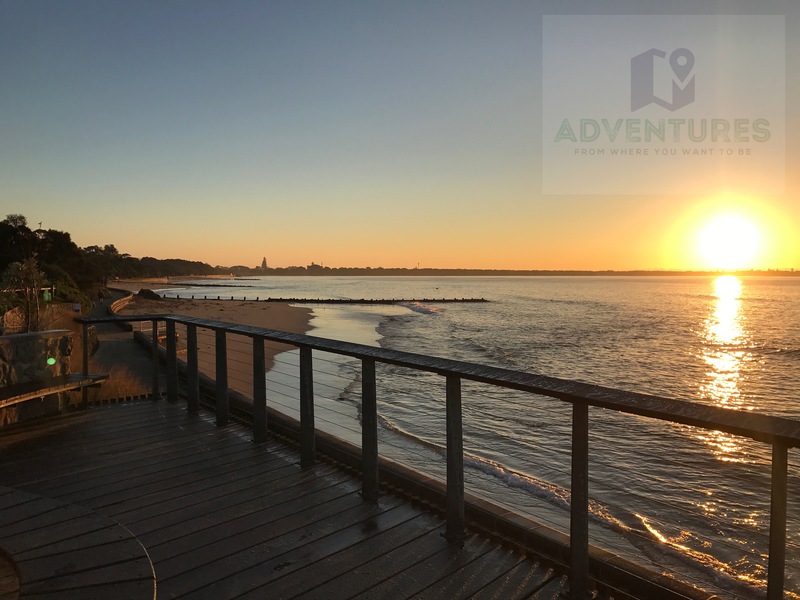 Kalbarri is a gorgeous coastal town where the Murchison River meets the Indian Ocean, it is a beautiful spot known for its seaside cliffs, gorgeous beach and seaside pelicans. There are daily opportunities to feed the local pelicans, at the Pelican Feeding Point. Nearly every 8:45 am opposite the Murchison Caravan Park, you can help feed the Pelicans with a Gold Coin donation. The volunteers share their knowledge of the amazing birds and great local information as well. The Pelicans have been being feed at this point since 1975 when a local by the name of Cliff Ross started feeding them. Cliff Ross used to own a museum in Kalbarri called fantasyland. Kalbarri is a great place to fish, walk and relax. Kalbarri National Park has great gorges with some fantastic walks. There are so many places to visit Mushroom Rock, Red Loop, Z-Bend. Another great attraction in Kalbarri is the amazing range of Wildflowers. These are in bloom between July and November and there are an amazing 800 species in Western Australia, over 600 of these are found only in Western Australia. The gorges carved by the Murchison River in Kalbarri National Park provide a great mixture of short and long walks to see some spectacular lookouts. For us, the standout would be the walk to see “Nature’s Window”. If you are after a short walk the perfect spot for an Instagram photo is only 400 metres from the carpark. This natural rock arch frames the Murchison river perfectly, and depending on what angle you take your shot on, the way the sun is shining, every view is different. The sandstone rock is a such a great photo opportunity, but also a great spot just to sit and reflect on life. If you are up for a long walk it is also part of a 9km loop that begins and ends at “Nature’s Window”. With our young children in tow we didn’t walk the full loop, however, we wandered up the path for a while the first kilometre is relatively even, however, we where told there is quite a steep descent into the gorge itself. Not something we wanted to attempt with preschool children. Nature’s Window was formed by the wind eroding a section of the layered sandstone, that frames the river below. It really is one of the highlights in Kalbarri National Park. So make sure you stand at Nature’s Window and gaze out at the glorious view. See the rich colours in the rocks and marvel at how amazing Australia is. Terrain – Mixture of steep descents, ladder climbs, steps and rocky surfaces, with some flat surfaces as well. The Loop walk (Class 4 Trail) – Moderate to High Level of fitness required. Terrain – Mixture of long even sections, steep descent into the gorge, some rocky surfaces and small climbs. Estimated time – Depends how many photos you want to take. *Perfect spot to spot marine creatures, like dolphins or humpback whales between June and November. Terrain – Easy, sealed path. Drinking water is not available so bring your own. Kalbarri is well worth a visit when you go to Western Australia. 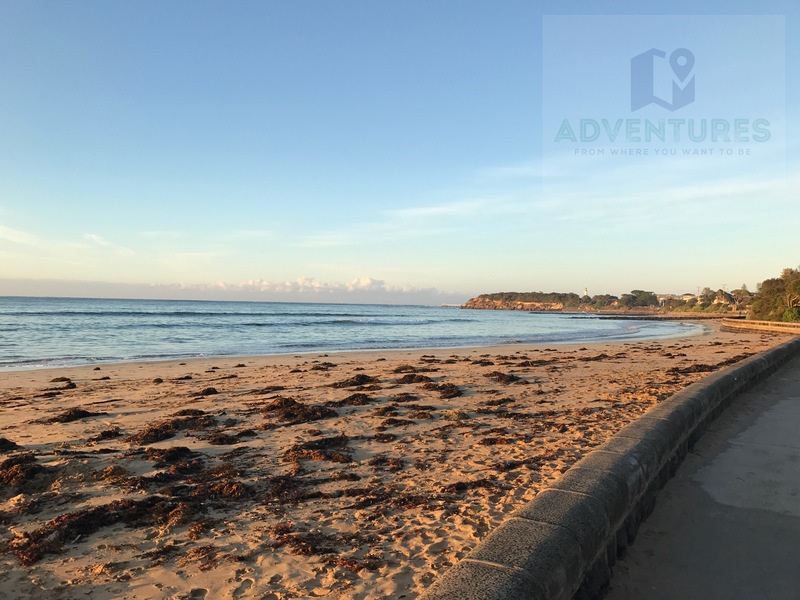 Just fifteen minutes out of Lorne on your way to Apollo Bay, along the magnificent Great Ocean Road is a great walk within the Otway National Park. There are five walks available from the Sheoak Falls carpark. The first walk to Sheoak Falls is about fifteen to twenty minutes along the path on a mostly uphill section. The path is a mixture of gradual inclines, very steep steps, shorter steps and long windy straight sections. As you arrive close to the Falls you have a choice head down to the Right to the base of the Gorge to see the falls from the bottom, or head right up the stairs to see Swallow Cave first. We headed down to the base of Sheoak falls and it was worth the view. After watching the water cascading over the 15 m cascading Falls, we ventured up towards Swallow Cave, it is almost all uphill from there, and some of the steps are almost twice the height of normal steps, so keep in mind if you have small children or back issues. But it is worth the walk. There are two vantage point of the fall, the first lookout point allows you to see the falls, but the second part lets you really experience it. After the first lookout, you continue your journey uphill until you get to a small river crossing (this should only be attempted if the water is not high, and covering the stones that you cross with). This is the perfect place to sit on the rocks and put your feet in the water after your climb. Have you been to the Great Ocean Road before? Have you seen the Beacon of Hope, Cape Otway Lighthouse? Walked the Sheoak Falls, Swallow Cave. What are some of your favourite places to stop along the way? 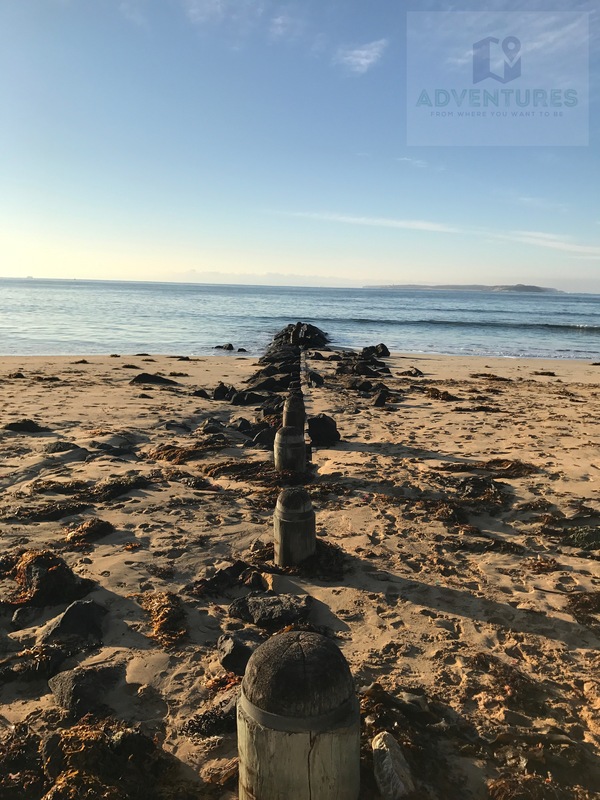 Point Lonsdale to Queenscliff Walking trail. Escape the hustle and bustle of the City with a visit to Point Lonsdale. Point Lonsdale is a beautiful seaside town just over 100kms from Melbourne. Point Lonsdale is one of the Headlands (along with Point Nepean) that frame the Rip or the heads, the only entrance for shipping coming into the port of Melbourne. 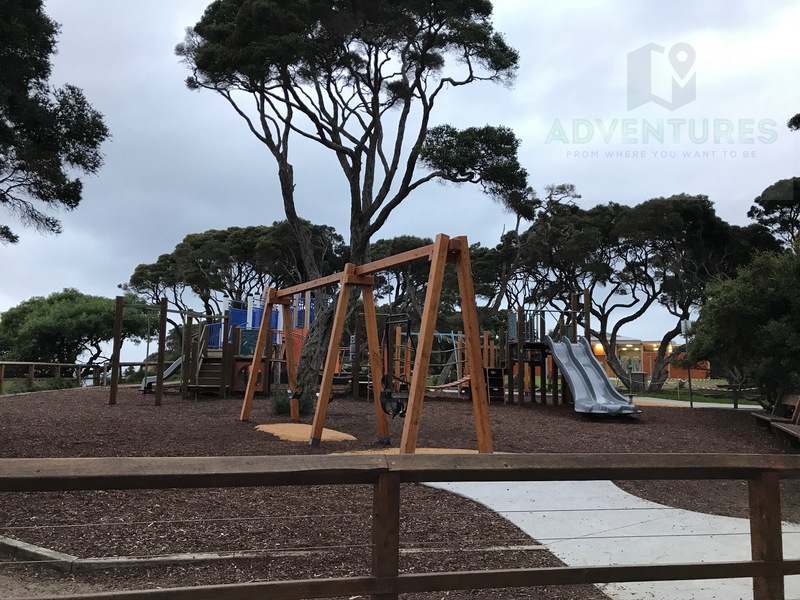 It is a beautiful place to visit, to stop and have a coffee, for the kids to play at the large playground and a magical place to walk. 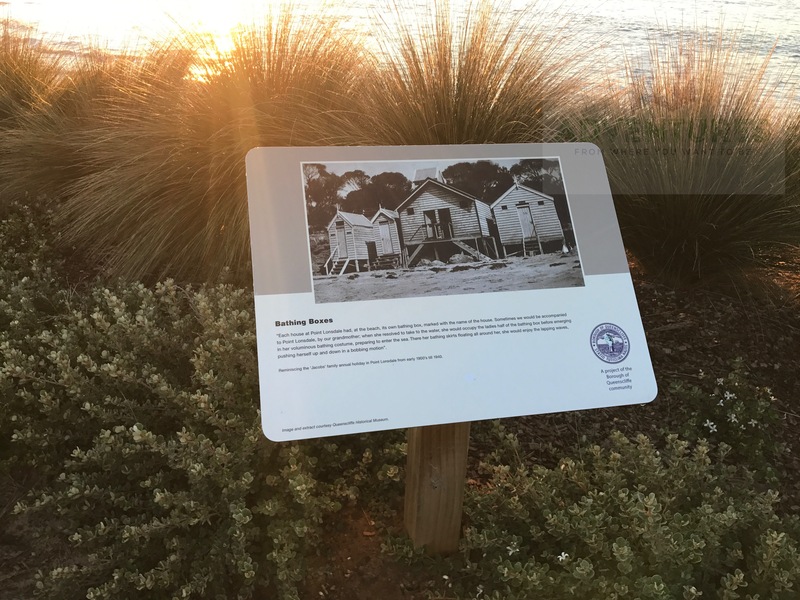 Point Lonsdale / Queenscliff now has an amazing walking trail along the beach that shows off the best of the Bellarine Peninsula’s Beaches. The trail is called ‘the quality of life trail’ it is a walking, jogging, and cycling trail that connects Queenscliff to Point Lonsdale, (or the locals may argue connects Point Lonsdale to Queenscliff. The local decided that they wanted to encourage locals and tourists alike to enjoy the area, whilst getting fit and healthy and the 5.5km long, largely flat trail was the outcome. The trail is great for people of any fitness level, whether prams, cyclists, joggers or people wanting a more leisurely stroll. The trail is 5.5kms one way or 11kms return. Every 500 metres there are markers to let you know the distance, there are entrances back up to the road, or down to the beach. On my recent walk, as I journeyed along snug in my beanie, gloves and warm coat, I watched in awe the amazing men and women climbing into the icy water with nothing more than bathers and a swimming cap to keep them warm. There were many other people braving the cold water on surf and body boards. 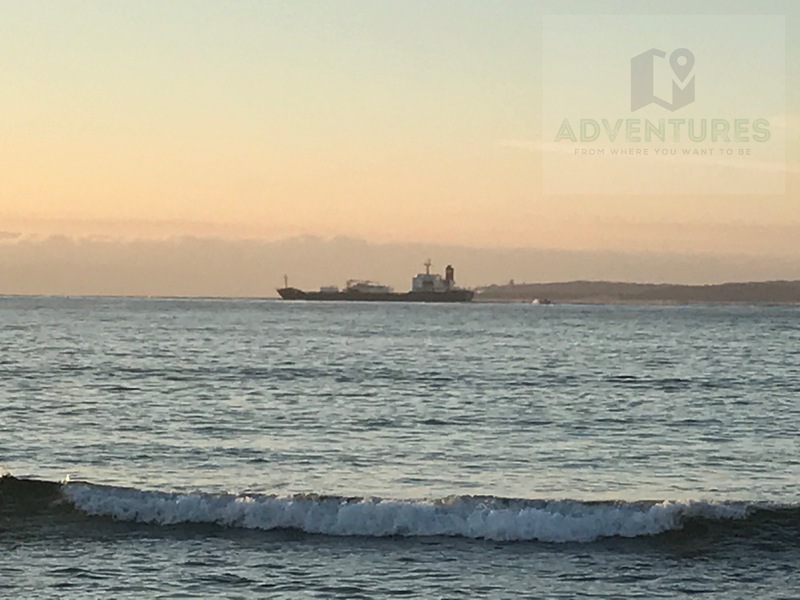 If you are lucky you may see some freighters going through the heads, or depending on the time of year you may see Humpbacks and Southern Right whales. 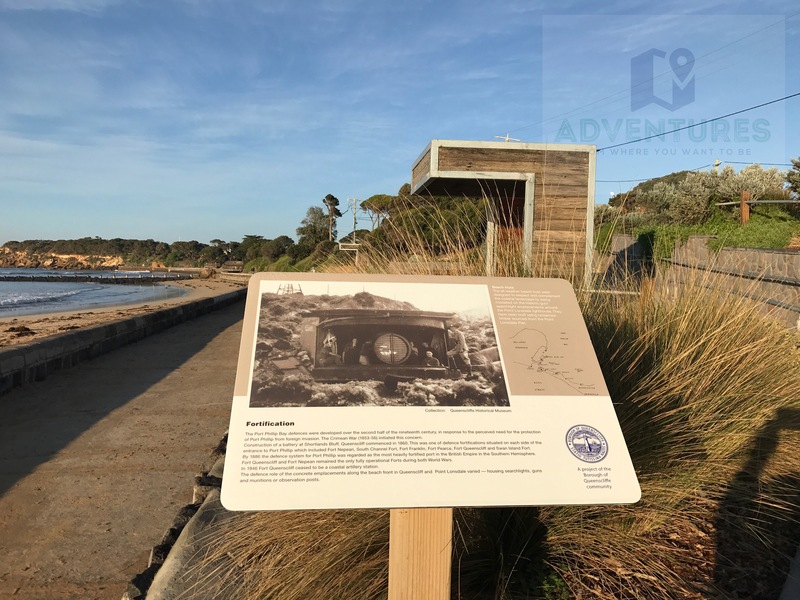 Have you visited Point Lonsdale? Where are your favourite seaside walks? A visit to Ballarat would not be complete without a visit to “The Lake” Lake Wendouree. Who would have thought that this gorgeous lake a tourist draw card of Ballarat that has over 3,860 ML of water was dry from 2004 until 2010, especially now with the Lake overflowing flooding 90% of the boat sheds dotted around. Lake Wendouree is a large shallow lake located in Ballarat, it is an artificial lake that was made when the Yuille swamp was dammed back in the 1850s for use as the water supply during the Gold rush. The name Wendouree (which is also the name of the neighbouring suburb comes from the WS Yuille the initial surveyor of the swamp. When he arrived at the swamp he found a local indigenous women there. Interested about the local name he asked her and she replied “WENDAAREE” and with that the name was recorded, incidentally what she was trying to tell him was to “Go away”. Now is a great time to go for a walk around the lake with 6k of great walking / jogging / riding track. There are 4 great cafe’s / restaurants dotted around, a kiosk and on the weekends an ice -cream tram. There is also a historic vintage electric tramway that operates around the botanical gardens side of the lake. Paddle steamers, Rowing, Canoeing and fishing also make up a large reason that it is a big tourist drawcard in Ballarat.